I first met designer Andrea Rangel in Seattle last fall. I already knew her work, of course: She's the designer of The Dude, the originally Big Lebowski-inspired sweater that really ties the room together. She's also designed knit pants, which she was wearing as leggings under a skirt when I met her. Now, with the copy I ordered sitting next to me (I LOVE PRINT BOOKS), I have the honor of hosting Andrea on her blog tour! My favorite design in the book is Plantago, a front-zip cardigan-jacket with a collar to die for, so I've asked her some questions about the collection in general and Plantago in particular. Can you give me some background info about Plantago? This sweater was designed for my husband. Most of my samples live in plastic, but this one is actually his sweater. He's had it for over a year now and wears it on his outdoor adventures pretty regularly when it's chilly out, and he still loves it. He's really particular about these things, so it's satisfying to me that he's happy with it. I like it too, so I'm working on one for myself. I actually had yarn left over from the first one, so I just bought a few more skeins to make it enough to make my own. So, we're going to be really matchy-matchy, but we're just nerds enough to handle that. When I saw this jacket, I wanted it for myself! Do you have any suggestions for modifying it to fit a woman? Yes! I'm working on one for myself, so let me share some thoughts about modifying it for women and how I plan to modify it for myself. 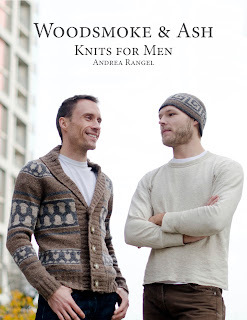 Usually there are a few key differences between sweaters designed for men and those designed for women. The first is shaping. In order to have an attractive fit, a lot of women's sweaters include waist shaping. However, unless you are very curvy (that is, there's a big difference between your waist circumference and that of your hips and/or bust), I don't actually think you'll need to add shaping to this sweater. Because it's worked all in 1x1 ribbing, the sweater stretches beautifully to fit lots of shapes. The second difference is sleeve length. I've found that I really like how the size extra small fits me (though it isn't with negative ease, but actually about 5.75 in/14.5 cm of ease - my bust circumference is 31 in/79 cm), except that the sleeves are much too long. 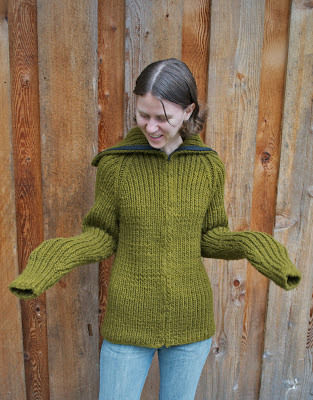 On my own sweater, I'll work the sleeves to about 17.5 in/44.5 cm instead of the suggested 20 in/51 cm. Since the sleeve shaping isn't spread out over the whole length of the sleeve, but finishes about two-thirds of the way up, it's easy to work all the shaping and then just stop when I've reached the length I want. The third difference is yoke depth. Usually women's raglan yoke sweaters have a shallower yoke depth than the same chest/bust circumference sweater would have on a man's sweater. 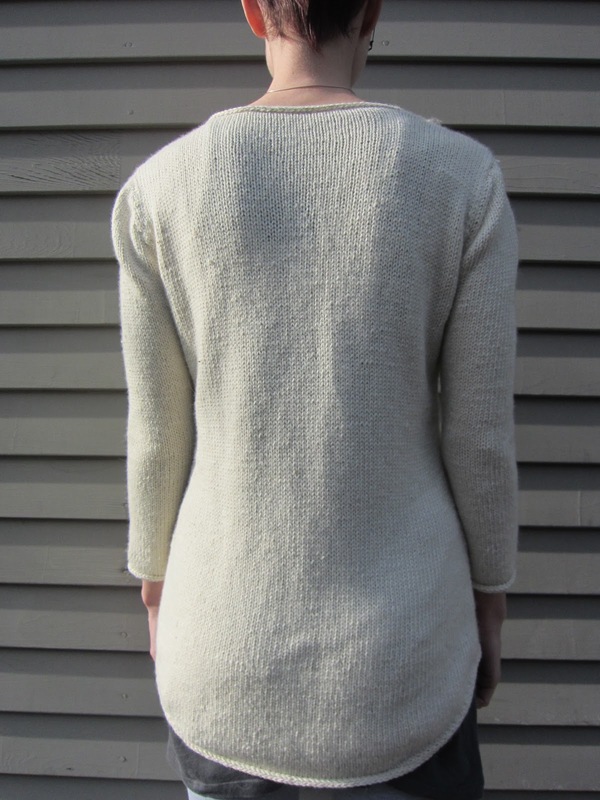 For example, a sweater with a chest circumference of 36.75 on a woman's sweater might have a yoke depth of 8.5 or 9 in (these are just examples; depth can vary widely depending on desired fit). 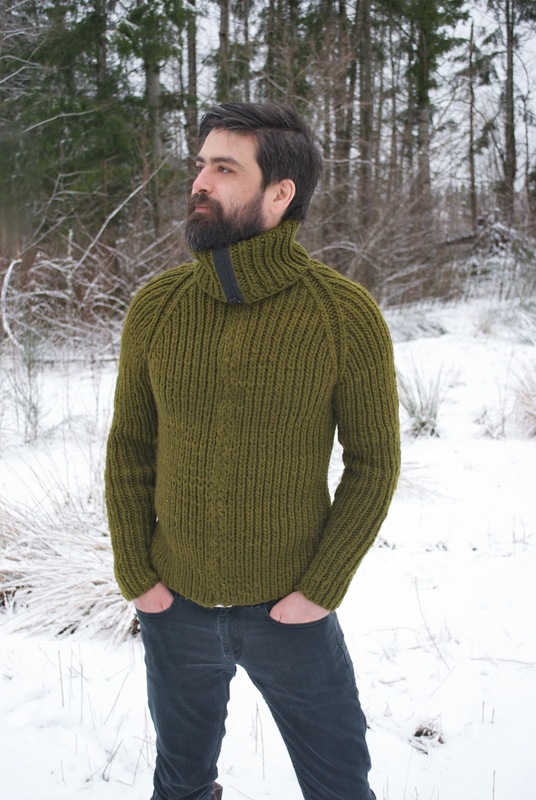 Plantago calls for a depth of 10.25 in for a sweater of the same chest circumference. Like I said, I actually really like the way the extra small size fits me, so I don't plan to make any changes in yoke depth, but if I wanted a more fitted armhole, I would work a few more every-row decreases than the pattern calls for in order to reach the end of the yoke in fewer rows. Keep in mind that shortening your yoke will also shorten your sleeve, so plan sleeve length accordingly. Who is that amazing-looking model? That model is Rick. He worked with my husband in Seattle, and was kind enough to model for me twice (see Scherer). He was a great sport getting up early and driving with us from Seattle until we saw snow. 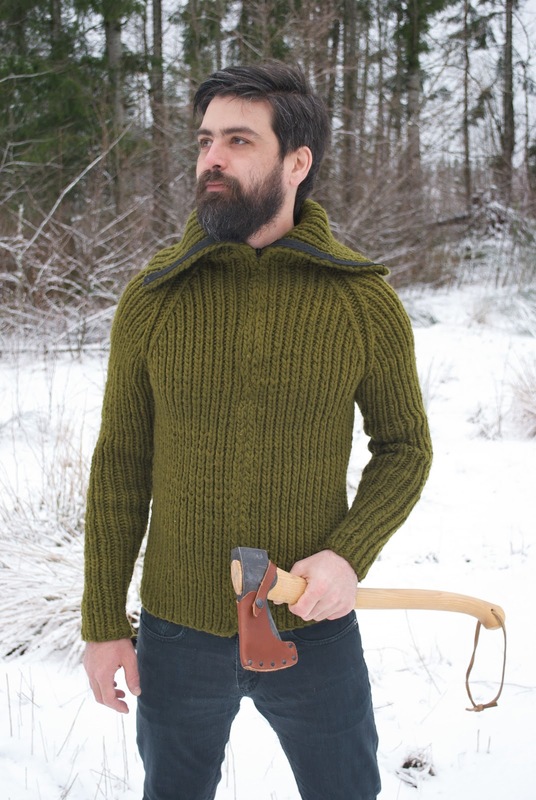 He makes a great woodsman, right? That's one fine beard. Any tips for setting in a zipper? 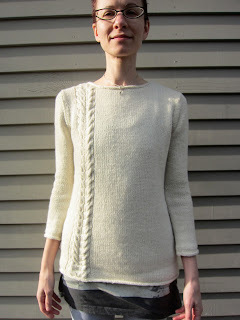 Men love zippers, and so do I, but I’m insecure about putting them in knitwear. Zippers are extremely wearable, but they can be a bit finicky to sew in. Here are some thoughts on making your zipper experience more positive. 1. It's important to block the sweater and wait till it's completely dry before measuring for zipper length, as a washing can definitely change the overall length a bit. I actually ordered a custom zipper (waterproof from Zippersource.com) and when it arrived, it was too long. 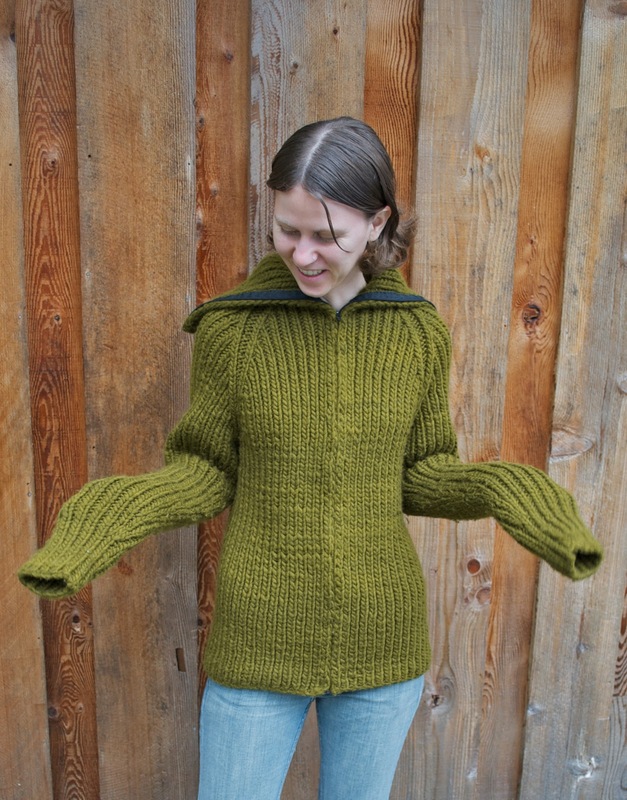 I'd measured while my sweater was still wet (I needed that zipper before the photo shoot! ), and it shrunk up by at least an inch after it was actually dry. So, through some kind of engineering magic that I was barely a part of (thank you to my fella for that one! ), we shortened it and it all worked out. Ysolda Teague, in her book Little Red in the City, recommends measuring the sweater on a model or mannequin to get the most accurate measurement. 2. Zippersource is a great resource, but it can take time to source a custom zipper since the sweater is extra-long, so be sure to give yourself enough time if you're making it for a gift or with any kind of deadline. 3. 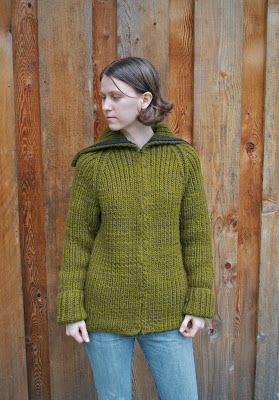 Baste the fronts of your sweater together before you do anything else. 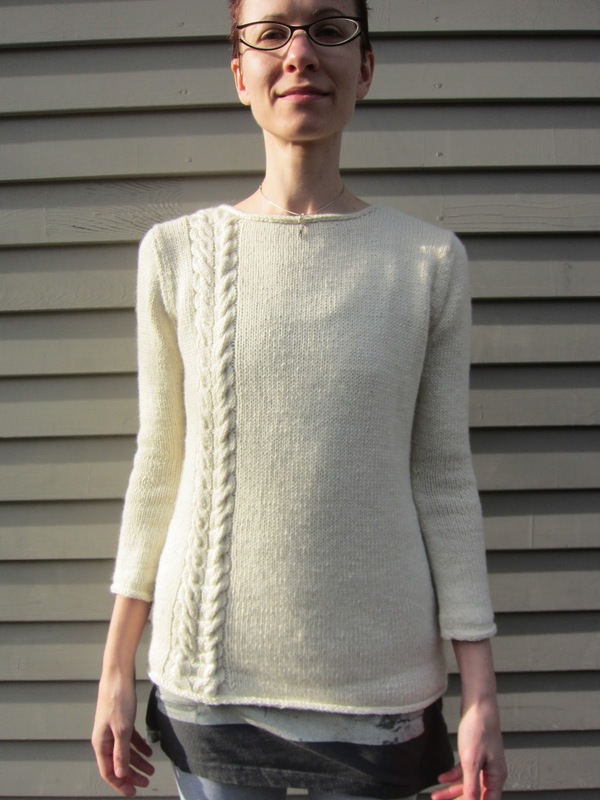 I recently found this tutorial on using blocking wires to stabilize the whole thing and I think I'll try that when I sew the zipper in my own sweater. It seems like a great idea. Make sure that everything lines up perfectly, then turn the sweater inside out. Pin the zipper to the wrong side of the sweater, making sure that the back of the zipper is facing you and the front of the zipper is facing the fabric. Then baste the zipper in. After basting, you can remove the pins. Turn it back right side out, remove the basting thread keeping the fronts of your sweater together, and separate the zipper, which will make sewing easier, especially with this fairly hefty garment. I did this all by hand and haven't tried it on a sewing machine, so I don't have recommendations for that, but if you're sewing by hand, be sure to backstitch in the middle of the zipper as well as whip stitching along the edge to keep it firmly in place. When you're done, remove your basting thread. Now here's the exciting part: You can win a copy of Woodsmoke & Ash by commenting on this post! All comments are welcome, but I would particularly appreciate suggestions for superbulky yarns I could use for my Plantago. 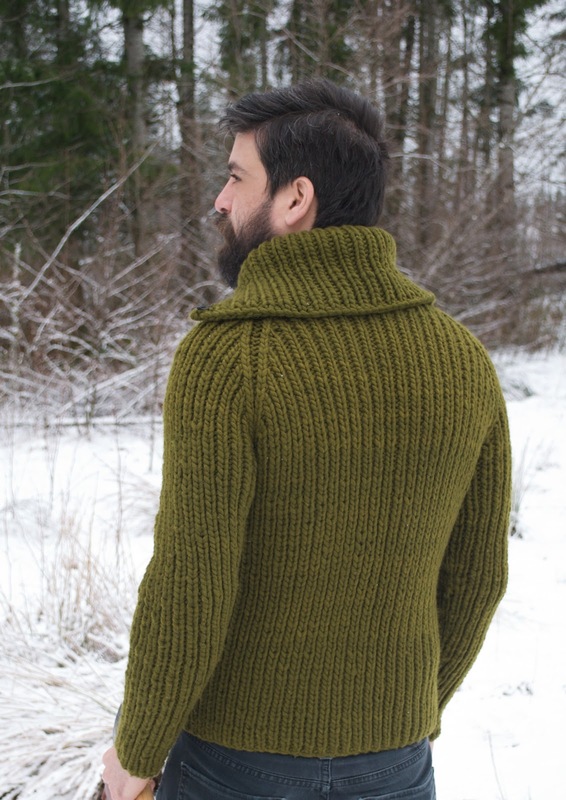 The original uses Brown Sheep Burly Spun, which is a perfect outdoor man yarn, but I want something a little softer and, if possible, from an indie dyer. Any thoughts? I'm leaning toward a really dark, murky color of Malabrigo Rasta. Congrats to Andrea on a HUGE accomplishment! I live in BALTIMORE now! In a small, cheap, cold apartment, the ceiling of which is higher than any of the rooms are wide. It's like a little cube where I work all day at a cluttered table, our only real piece of furniture! Hooray! The rest of my life will arrive when I have a HOUSE! I wanted to do something very simple but not boring. Something natural that I would actually wear. I would wear this all the time. For now, you can get the pattern as part of a kit from Our Back 40. If you can afford it, this yarn is magic. Go for it. The company's values and mission are aligned with my own, so it was an honor to work with them. However, if this is outside your budget, I'll be publishing the pattern separately (I'm not sure how soon, but stay tuned). If there's anyone still reading, thanks for your patience. I'm back! And I'll be a vendor at Stitches West in a few weeks. I hope to see some of you there and get my knitting energy back after a few really draining months.